It’s not too early to start planning the space telescopes of the 2030s. The lead times on big space telescope projects are so long that astronomers have already started thinking about what to launch in the 2030s, years before the successor to the Hubble Space Telescope, the James Webb Space Telescope (JWST) is launched in 2018. Scientists at this week’s American Astronomical Society (AAS) meeting in Kissimmee, Florida, were excited about a concept called the Large Ultraviolet/Optical Infrared (LUVOIR) telescope, the latest iteration of a long-proposed plan to put an 8- to 12-meter telescope into space (for context, Hubble has a 2.4 meter mirror, and JWST’s is 6.5 meters). 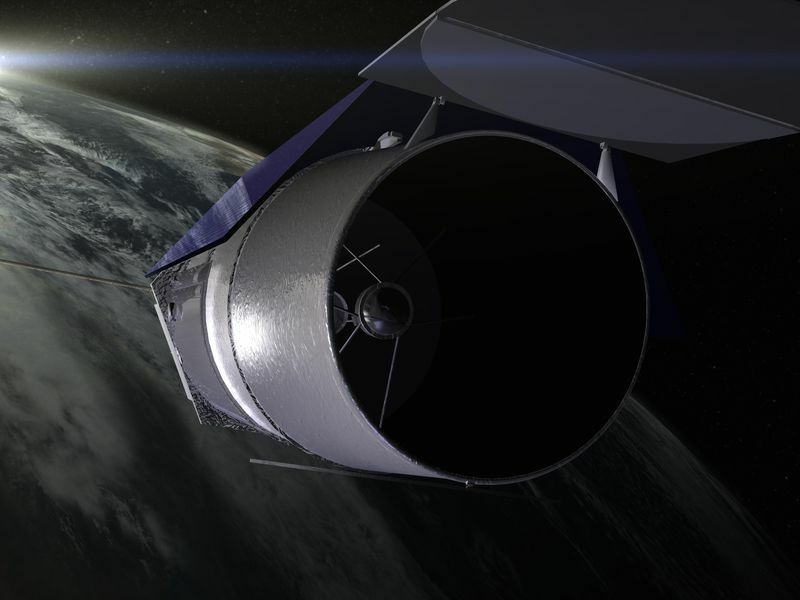 The technology needed for LUVOIR is already more advanced than Hubble’s technology was at this early stage, said the Space Telescope Institute’s Mark Postman during an AAS panel discussion. That may be because the basic LUVOIR concept has been kicked around for decades under slightly different names—High-Definition Space Telescope (HDST) and Advanced Technology Large-Aperature Space Telescope (ATLAST) among them. Whereas earlier concepts were for instruments that could take on a single task like imaging exoplanets or studying dark matter, LUVOIR could be used for several purposes. And its increased size will make it extremely powerful—large enough to take direct pictures of exoplanets and even note seasonal changes. It would allow astronomers to look more closely at details of star formation, and would greatly improve our understanding of the mysterious “dark matter” that makes up the majority of the universe. No matter that LUVIOR is at least 15 years away. There already is another large space telescope project in the queue after JWST, called Wide Field Infrared Survey Telescope (WFIRST). The 2010 Astronomy and Astrophysics Decadal Survey, a once-per-decade exercise by astronomers to recommend where the U.S. government should invest its astronomy dollars, ranked WFIRST highest on its list of desired projects. Launch is tentatively scheduled for 2024. In 2011, WFIRST received an out-of-the-blue boost: the National Reconnaissance Office (NRO), which operates America’s ultra-secret (and ultra-expensive) spy satellites, announced that it had two unfinished satellites in storage, and would donate them to NASA. The NRO satellites are cousins to the famous Hubble Space Telescope, but with improved technology and crucial design tweaks that allow them to look down at Earth rather than up at the stars. Their 2.4-meter mirror is wider than WFIRST’s initially proposed 1.6-meter telescope. NASA’s evaluators eagerly checked out the new satellites, and pronounced them perfect for the WFIRST mission. They’ll still need expensive instruments, however (especially cameras) and may need a bigger rocket than originally planned to compensate for the larger telescope. That raised the WFIRST mission’s estimated cost from $1.5 billion before the NRO donation to at least $2 billion. Scientists are still assessing exactly what data the telescope could gather. In December, NASA announced selections for the Formulation Science Investigation Teams, which will try to determine how to get the biggest bang for the buck. (One team, evaluating how WFIRST can contribute to the study of dark matter, is led by Nobel Prize winner Saul Perlmutter). Meanwhile, astronomers are already gearing up for the 2020 Decadal Survey. Scientists at AAS this week made clear that they want LUVOIR to be on the wish list.